Lusty career girls! Scandalous exploits! And guaranteed job satisfaction. 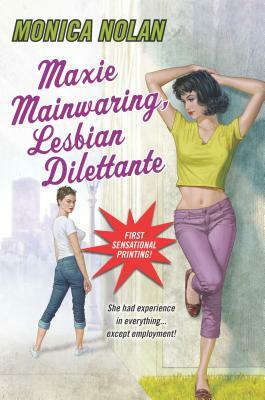 "Madcap" Maxie Mainwaring has been leading a gay life in Bay City, courtesy of her wealthy parents' generous allowance. Then she's discovered in the powder room at the Daughters of the American Pioneers Annual Luncheon, boldly exploring new territory with a female attendee. Maxie gets an ultimatum: move back to the Mainwaring Manse, or pay her own way. From gritty school cafeterias to cosmopolitan magazine offices, Maxie is discovering new positions and getting valuable hands-on experience--and love could be the most exciting job perk of all. . .